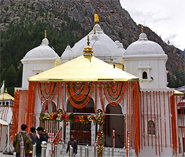 Uttarakhand also known as Dev Bhoomi (Land of Gods) is surrounded by many rich pilgrimage centers. CharDham is one of them. 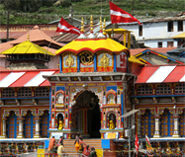 Chardham yatra is pilgrimage tour to the four holy sites-Kedarnath, Badrinath, Yamunotri and Gangotri. Nestled in the Garhwal Himalayas, pilgrims from all around the globe take the pious Chardham Yatra or teerth yatra to seek divine solace and religious peace. 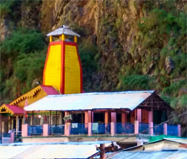 Take the spiritual journey to Chardham by choosing any of the Chardham tour & travel packages. Look for a package from our extensive range and make your trip easy & smooth. These packages cater to the basic needs of the travelers. You can opt from any of the packages for Char Dham – Ek Dham Packages, Do Dham Packages & Teen Dham Packages as per your preference. 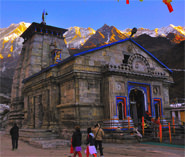 We also offer customized Char Dham travel Packages from cities like Delhi, Gurgaon, Noida, Dehradun, Haridwar, Rishikesh, Banglore, Jaipur, Pune, Mumbai, Kolkata, Lucknow etc. You can select the best suitable package and contact us for advance bookings.